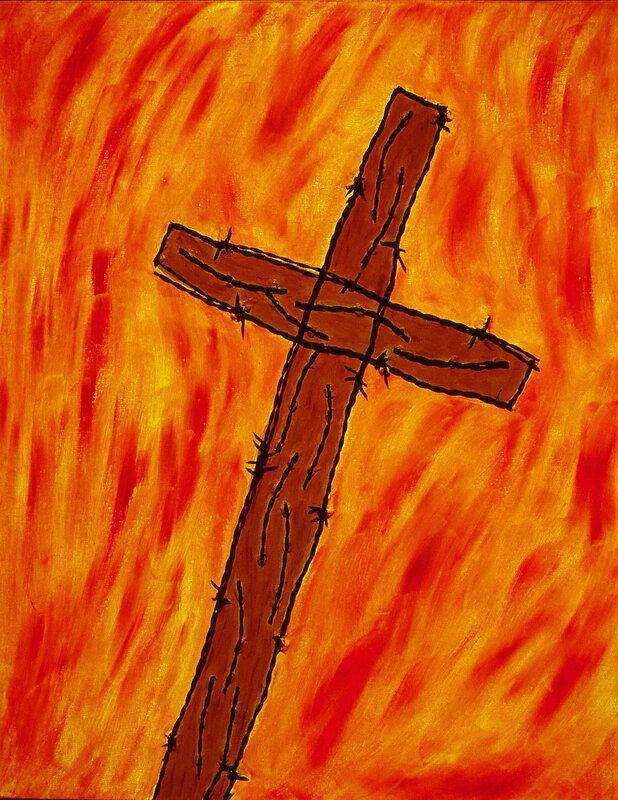 George Mullen, Sept 11 Art / 911 Art: American Crucifixion, 2001, 28″ x 22″, barbwire and oil on canvas. Copyright © 2001 George Mullen. All Rights Reserved.